We do much work with the German authority file GND (Gemeinsame Normdatei), specifically its RDF version. The underlying GND ontology was published last year and I must admit I haven't been taking the time yet to get an overview over the ontology. 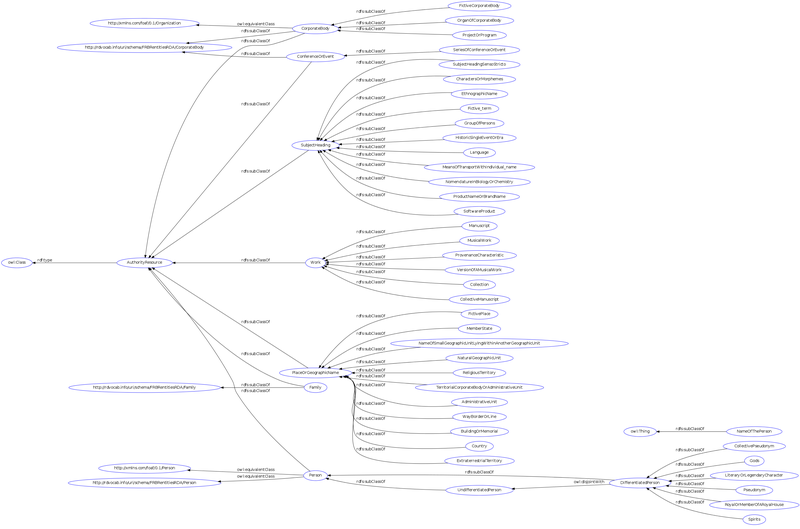 Today I started by getting to know the hierarchical structure of the ontology's classes. As I didn't find an overview on the web, I created my own and publish it here.